Timeless Classics in Acacia. 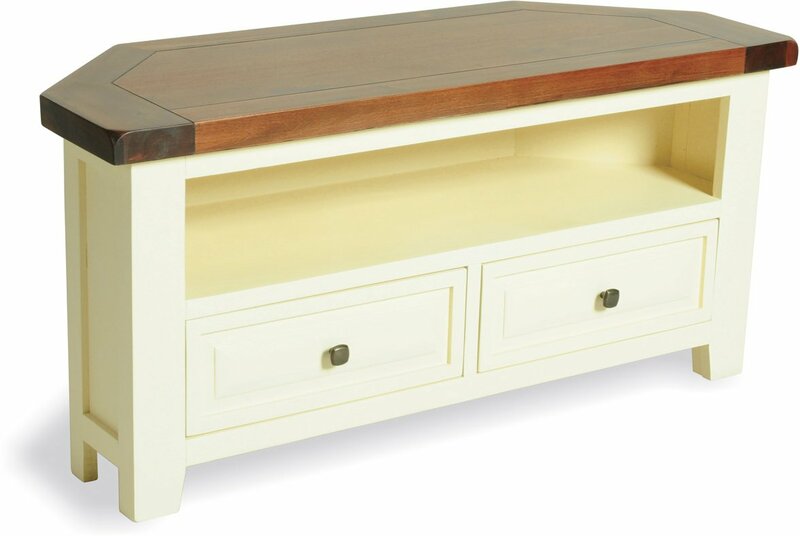 Perfect for all your living spaces, the Carma range features a smooth cream painted body with rich dark Acacia top. painted wood. the wooden top is very substantial looking with rounded corners, it looks great in my room had many compliments. its not really a bad point just a matter of personal taste, i changed the knobs on the draws to match other furniture in my room.